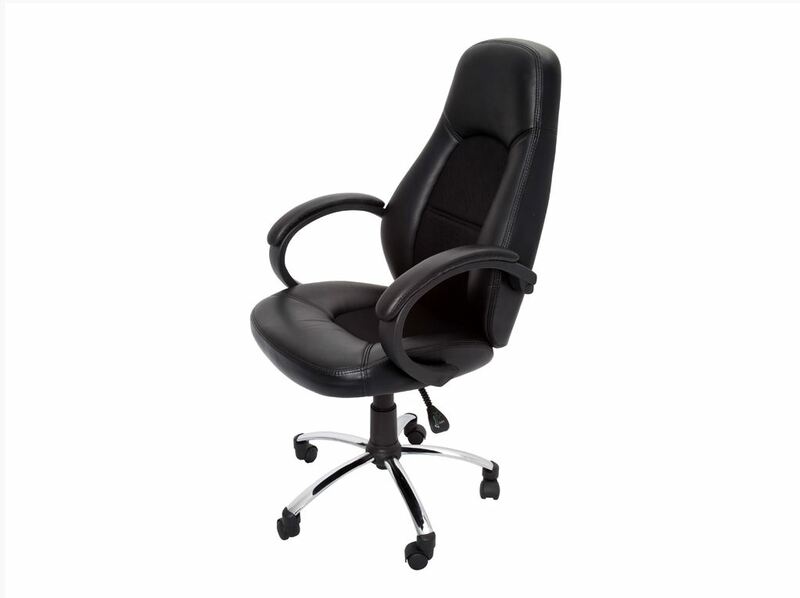 The executive office chair XCL-400 is an ergonomic office chair that is shaped to feature a bucket seat style. The chair is made from a soft padded black PU with black fabric inlay. 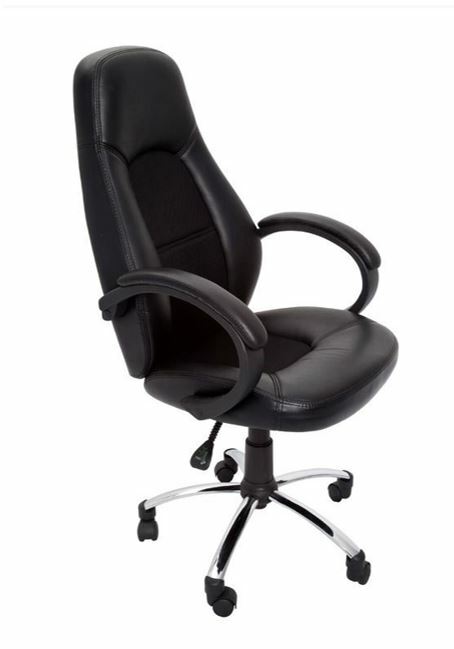 These executive office chairs also come with padded PU armrests and are mounted on a 5 star chrome base. As well as gas height adjustment, the XCL-400 executive chairs have a single position tilt lock.